Kate and Craig Aitken - Founders and owners Knock on Wood Toys. 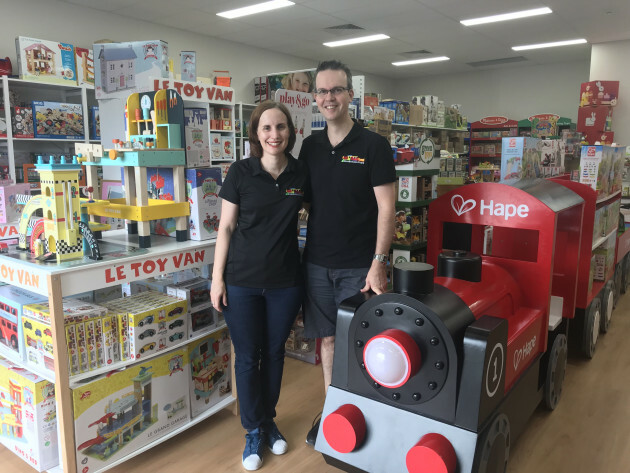 Queensland wooden toys retailer, Knock on Wood Toys, has taken out the Small Retailer of the Year Award in the inaugural Toy & Hobby Retailer Business Excellence Awards. Beginning in 2013, the business was founded by husband and wife team, Craig and Kate Aitken, purely out of their love for wooden toys. “We really love quality wooden toys from our childhood [and we had] a desire to bring together the most extensive range of the best hand-picked wooden toys from around the world,” Aitken says. “At the time, our two boys were toddlers and it was just amazing to see how they interacted with furniture items and wooden toys from our childhood. “We originally were online – we launched our online site in 2013 – and we used to do a market circuit around Brisbane. Craig says that when they were looking to expand into a larger space, the question of, 'why else would you come to a toy shop?' came up. This question will prove vital in the coming years as retail shifts to an experiential model and this initiative is what made Knock on Wood Toys stand out. “We really wanted to build another avenue and reason for people to come into our store. So we established an activity play room, where kids can come and play and test the beautiful wooden toys we sell. We run Toddler Tuesdays and Thursday events and essentially, it gives parents the ability to come in meet other parents, kids to meet other kids and play with quality wooden toys for an hour. “We also use the room for birthday parties and different activities and we have a large number of those booked over the next month. Kate and Craig Aitken - Founders and owners, Knock on Wood Toys. Aside from taking out the award in Toy & Hobby Retailer's awards program, Knock on Wood Toys also won the Mt Ommaney Small Business Innovation Award for 2018. Craig told Toy & Hobby Retailer that one of the key differentials with the business is the live online inventory. “What our customers see on our site is what’s in stock and available to purchase,” he said. Craig says that Knock on Wood Toys will continue to grow in the next year and hopes that winning this award will enable this expansion. 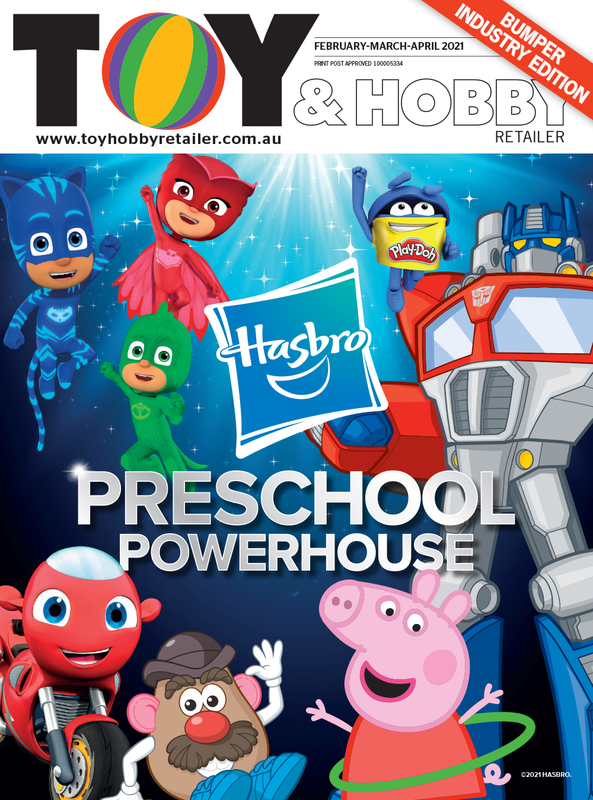 “Our goal is essentially to be the number one wooden toy retailer in Australia. But also, to be the best provider of quality customer service in Australia. “We want to continue our growth and further our opportunities to provide more brands of quality wooden toys. We hope this award will open many doors to further ideas. “I really enjoy dealing with all our suppliers and working with them on what’s the latest in quality wooden toy products. It’s really satisfying when you see the excitement on our customers faces at the beautiful ranges we offer. Winning this award would have to be one of our highlights. We started our store from humble beginnings, brainstorming our ideas to start a wooden toy store one weekend in the country. From our ideas on paper we have gone from online-only to a small retail store and now a large retail and online presence. We love meeting our customers and sharing our love of wooden toys with the wider community.